A low growing early Spring perennial, with pale yellow flowers with orange/yellow centres, on slender hairy stems varying in size up to around 25cm long seen from February to May. The leaves are in a rosette, arranged around the base of the flower stems. 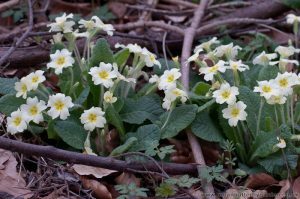 Common and widespread throughout many areas, wild Primroses can often found growing in, open woodland or under hedgerows, and even on, Roadside verges and Embankments. They are also a popular plant in many gardens across the UK . 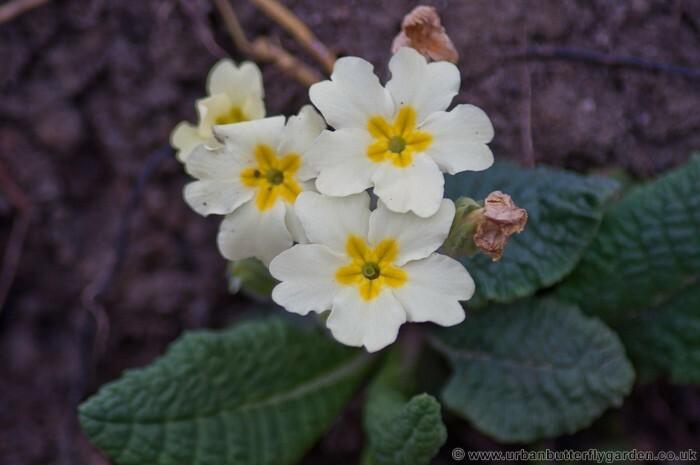 Early wildflowers like Primroses are a good nectar source for Butterflies, Bees and many other insects in early spring. It is also a primary larval food plant for one of the UK’s rarest Butterflies the Duke of Burgundy (Hamearis lucina). 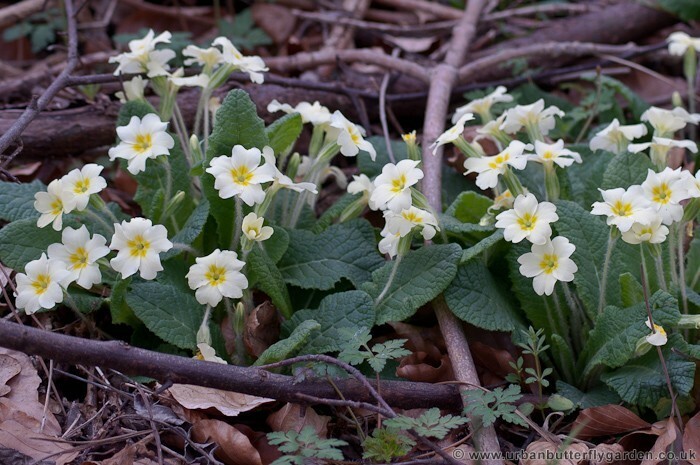 Habitat: Often found on – Woodland, Shaded Meadows, Embankments, Roadside verges and Gardens. When does it flower? February to May.